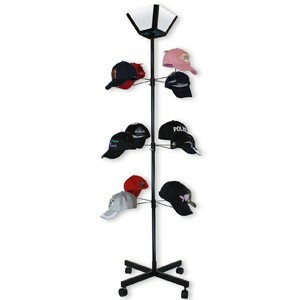 Show off your selection of caps and hats with this rotating floor model hat display. This model works with baseball caps and animal hats. • Caps are NOT Included. • Attractive Floor Model Cap Display. This is an attractive Floor Model.